Apple’s iTunes App Store is without a doubt the largest mobile app market around, offering hundreds of thousands of applications available for purchase and download for the iPhone, iPod touch, and iPad. Apple, knowing that the name recognition of the “App Store” has grown throughout the years, happens to have put a trademark on the exact phrase. Considering this, it’s no surprise that the company hasn’t been thrilled by Amazon’s use of the word“Appstore” to describe the company’s developer program — and upcoming portal for selling Google Android applications. In fact, Bloomberg has reported that Apple officially filed a lawsuit against Amazon for trademark infringement on Friday. Now, while you could argue that Amazon is using Apple’s language to attract developers to its program, I think you’d have a hard time convincing anyone that there’s any real confusion here. 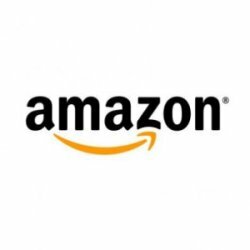 Amazon’s Appstore is designed for Android apps, not iOS apps… which means users won’t be able to download any items from Amazon that run on your iPhone, nor any applications from Apple’s store that are able to run on Android devices. There’s probably a much larger issue here about whether companies should be able to trademark broad descriptive phrases such as App Store, or 1-click checkouts. For now, though, it should be interesting to see how the lawsuit affects Amazon’s plans to launch its mobile app portal that looked to spark a storm on the multitude of Android devices available. Amazon’s ‘Appstore’ was set to open to the public as soon as tomorrow.